Gmail Shortcuts To Save Work Time. Gmail has become the most popular email service provider. It provides 15 GB of storage, controls less spam (having spam filtering capabilities), and is available on the mobile device. Gmail makes working with e-mails an effortless and pleasant experience. 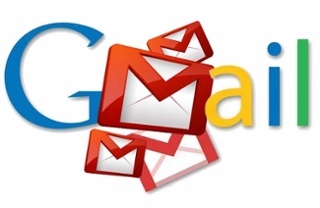 Gmail provides with the option of adding a signature automatically to all the outgoing mails. It thus helps saving time consumed in adding a signature to each mail individually. One can add a signature by going to Settings > General and scroll down the Signature section. A formatting window will appear with tools for formatting signature. Signature can be created with images, links, bullets, etc. Tip – Though HTML codes cannot be used as signature, but one can copy- paste HTML content directly in the Gmail Signature area provided and it will be automatically appended at the end of all the outgoing messages. When one right-clicks on a message in the inbox, a drop down menu appears. One can archive, delete, or mark a message as read/unread. ||ੴ||ਇੱਕ ਓਅੰਕਾਰ Satnam Shri Waheguru Ji A Web Blog about Product Review, Blogging Tips, Tech Reviews: Gmail Shortcuts To Save Work Time.